When you only have one eye like Odin (both the Norse god and the cat) you can see more when focused. 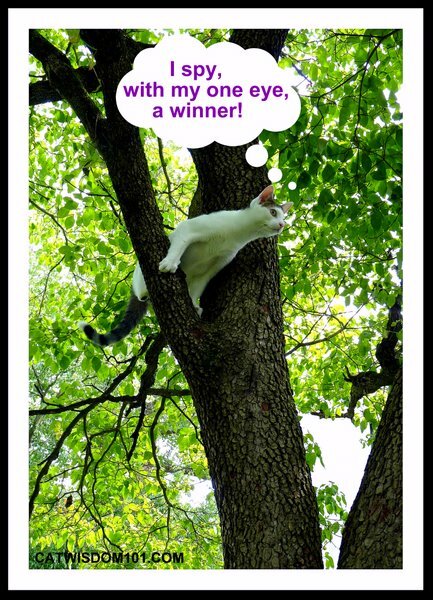 Odin, the cat (not the god) sees best from a higher vantage point, and today is shouting from the treetops, “I spy with my one eye, a winner! Thanks for all the comments. Winners are chosen at random from our subscriber’s list only. 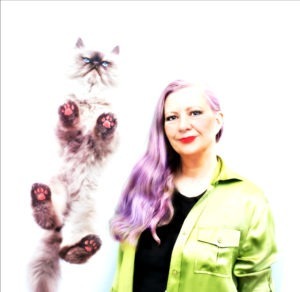 The winner of the stunning Cat Art Calender by Bernadette Kazmarski is Karen Curtis, who left this comment: Have to get this calendar! Love cats! you sweet boy! I think my mommy loves you. I’m not jelluss. That’s very gallant of you! Congrats to Karen. Well done. I bet that is a really nice calendar. Hope all have a great day. He is such a doll!!!! Love that boy. Thanks Austin, you know how he loves compliments. Have a great day Odin! Love your photo!